If you want to maximize your deposit bonus and furthermore your winnings when playing poker you have come to the right address. Max Poker Bonus (MPB) was founded in May 2008 for the German-speaking market and since then strives to bring better deals for poker players who wish to play online. Due to many requests from international players, we decided to translate the site to English and go live with it in October 2008. We have constant contact with various poker rooms in order to bring our visitors even better deals and bonuses for their money as well as special tournaments. To be exclusive, we are always coming up with new ideas and features to ensure our visitors get all the advantage possible. 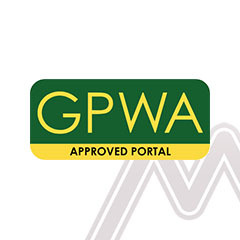 Our site is a GPWA approved portal, and we are proud of it. This means that we have earned a certificate that stands for having an ethical correct policy when it comes to the operators and providers we choose to work with. We are convinced that even in today’s world quality will warrant more success for everyone involved than pure quantity. Therefore we are very diligent as to which poker rooms we offer on our site: if there is any reason to doubt the reliability of a poker room, any questions about the room’s security arise, we are made aware of any problems when cashing out, there are complaints from players or promises are not kept, the poker room in question will not be presented on our site. We rather present 5 rooms instead of 50 since neither you nor we want to let someone take advantage of others. Therefore we have limited the number of rooms on our site to a maximum of 10 at any time. You should know that we are always open for constructive criticism and complaints, be they directed towards us or a poker room. It is only through honest feedback that we can even improve the current quality of our site – and that is the defined goal of our team. We want to help you make the most of your money while having fun and enjoying yourself at the same time without having to even waste a thought on any possible backdoors or scams. After all, poker shall always remain a game – regardless of the money involved. Which is also the reason why want to advise you to exert caution when playing for money. Never go beyond your personal limit and only play for money you can afford to lose. If at any time you have the feeling that you or someone you know is developing an addiction contact us. Playing poker shall always remain a fun diversion that may possibly earn some few people a living. The team behind the Max Poker Bonus sites exists of a group of close friends living across Europe. We’re all huge poker fanatics, hence the fact why we initially launched our first portal. If you want to learn more about us, please have a look at the following blog article, where we have summed up some additional information about us. News articles that you can read in the MaxPokerBonus.com blog are all written by independent article writers. Our team consists of three steady writers and occasionally we also hire freelance writers to ensure we can bring you the latest UK related poker news. When it comes to poker, Andrew may not be too great at playing the game but he has a strong passion and interest in the game. Maybe it’s his love of numbers and statistics that draws him to the poker world because it certainly isn’t the income that he pulls in from it. The one thing that Andrew can say about poker is that it has greatly enhanced his social life because, for some reason, his friends all want him around when there is a poker game going on! 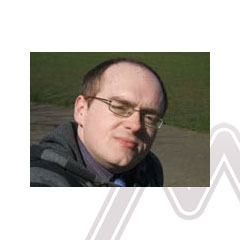 Bad poker skills aside, Andrew has been a freelance writer for over 6 years now enjoying working with businesses to produce web content as much as he loves writing about his main hobbies of football, music, and beer. Somehow, poker has managed to worm its way into his list of favorite activities too and he likes to keep a close eye on the big poker tournaments and how the top UK and Irish players are doing. This also means he keeps an eye out for celebrity poker events, especially those involving footballers throwing away their inflated wages! If you want the poker news but don’t need poker advice, this is the guy to listen to. Calvin was introduced to poker at an early age as it was an activity that his dad would regularly indulge in on a Friday night. It became a right of passage for the boys in Calvin’s family and before too long, Calvin was stood behind his dad, looking at the cards and learning all about poker. Of course, for legal purpose,s we would like to point out that Calvin never used this knowledge and understanding of poker until he was legally old enough to play poker. For instance, he certainly never went to school, helped his friends learn the rudimentary basics of the game and then took all of their lunch money off them on a repeated basis. That was something that did not happen, okay? This love and interest in the game has stuck with Calvin though and while girlfriends, fiancées and even jobs come and go, the love of poker has been a constant in his life. Calvin decided that he spent so much of his time reading about the game and scouring for information that he would be better off putting this knowledge to good use. For the past 5 years, Calvin has been writing about poker and never intends to stop! As a long-term poker fan, I’ve always been on the lookout for a site that met my needs and after a lengthy period of frustration, I decided to get in on the action myself. 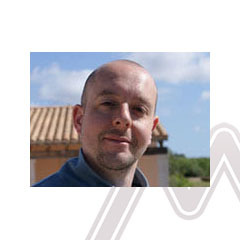 Although I am the owner of the MaxPokerBonus.co.uk site, I am also very hands-on with the site. This means that I take responsibility for placing the content on to the site and I am involved with all of the proofing. Some days this can take up all of my time but on most days, I spend around half a day working on the site or keeping up with the latest poker news. I am also known to spend a good few hours at the weekend ensuring the site is up to scratch and up to date so if you need poker news at any time, the site is here for you. I’ve always been drawn to the United Kingdom, its sporting competitiveness and of course, the language. Given my own love of poker, it made sense to combine all of these elements together and I hope the site provides a worthwhile source of poker news, views, and links for you. In poker, you always need a good hand and I hope to offer a strong hand to all you poker fans in the UK and Ireland.